The most relaxing weekend in a long time. We spend ten days in the penthouse every summer and we just love it! Amy Jo made us feel right at home. 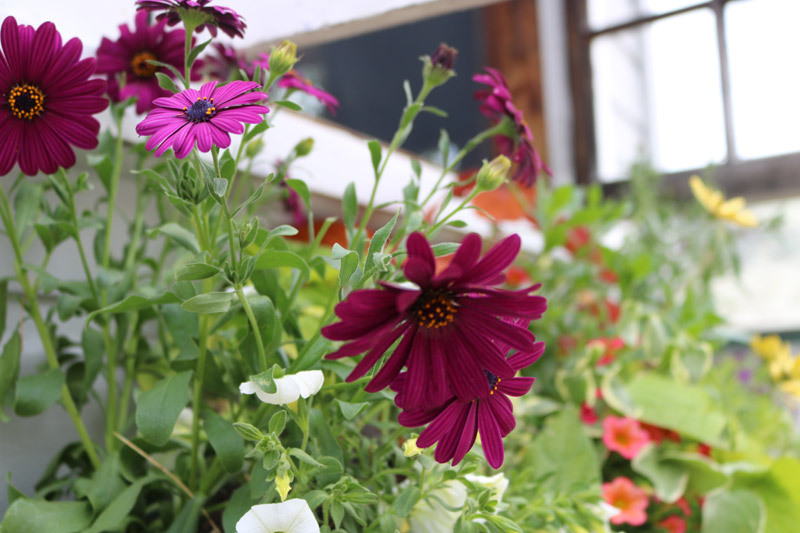 AMY-JO Cottages is located on the south shore of Newfound Lake which is one of the most beautiful lakes in New Hampshire. 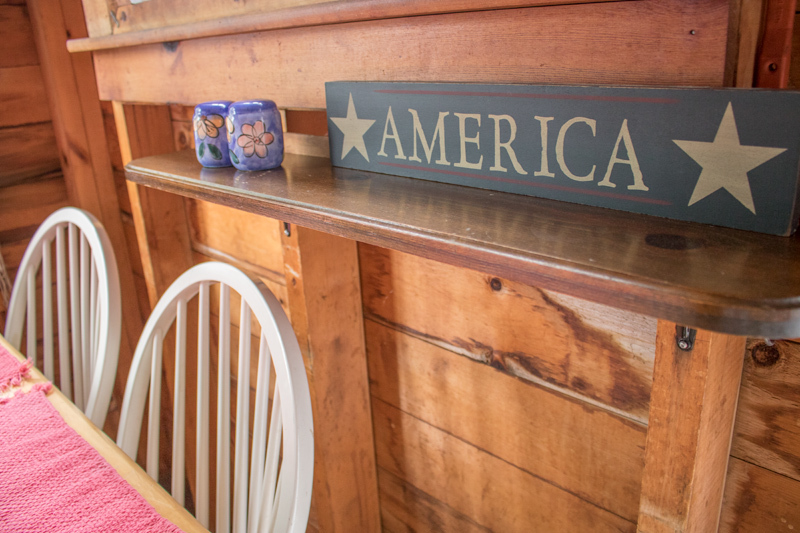 With a sandy beach and a dock for your boat AMY-JO Cottages is the perfect getaway whether you just want to sit on the beach, rest in the cabin, or explore the 4,106 acres Newfound Lake has to offer. Fed by 8 springs it is known to be one of the cleanest lakes in the United States and we are proud to say it is Milfoil free. The view from AMY-JO Cottages cannot be excelled. All cottages are in full view of the lake and are surrounded by pines and birches. They face the west, and the view of the evening sunset over the lake and hills is spectacular. Less than one hundred yards away is the mouth of the the Newfound River, a fly fishing only area that extends for many miles down stream. Newfound Lake is known to contain twenty two different species of fish and at its deepest point is 186 feet deep. Each cottage has a large living room with four windows, a glass door for light and air, and a separate bedroom with a queen sized bed. There is a fully equipped kitchen including an eating area, microwave, electric drip coffee maker and a bath with a shower, sink and toilet. The cabins have cable TV, microwaves, and electric heat. There is a queen sized sleep sofa in cabins 2, 3, 4, 5, and 6. The cabins are fully equipped for light housekeeping. 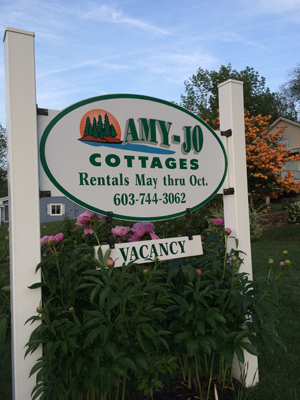 AMY-JO Cottages are operated for those who wish to rest and enjoy country life. Our satisfied guests who return year after year are our best recommendations.